Does this mean a certain Italian cruise liner captain has been promoted to driving buses? Your hard-working member’s first instinct was to denounce the Wanganui district councillors who want to stick to being paid a fixed sum of money, no matter how often they turn up for meetings to earn their keep. In accord with that instinct, Alf would have lauded councillor Rob Vinsen for recommending councillors’ salaries be linked to meeting attendance. And he would have excoriated anyone who rejected the proposal as a trough-swiller. Or an oinker. At yesterday’s full council meeting, councillors voted to keep their pay by salary only, rather than a split between a salary and a meeting allowance. According to the Herald, Wanganui councillors with no extra responsibilities receive $25,581 a year. Councillors were given the option of considering whether to retain a smaller salary along with an allowance for every meeting attended. This Vinsen feller obviously believes in ratepayers getting value for money. Councillor Rob Vinsen moved a recommendation that the council switch to a split salary-allowance model. “Being a councillor comes with responsibilities, and the first one is that you should attend as many meetings as possible. “It’s a basic responsibility to the ratepayer,” Mr Vinsen said. You don’t do much in Wanganui local body politics without bumping into Michael Laws, of course. And sure enough, Laws comes into this story. ..saying he was concerned the issue had become personal, referring to Councillor Michael Laws’ poor attendance at meetings. A poor attendance from Laws? Maybe Laws has been a tad lax in the attendance department. In the first year of this electoral term, Mr Laws attended 10 of a total 36 meetings. He did not attend yesterday’s meeting. But what other reasons could there be for voting against Vinsen’s proposal? “There are many reasons why people have difficulty attending all meetings. I was late today because I had child care issues. Councillor [Clive] Solomon has a busy job as a surgeon. Councillor [Allan] Anderson was away for some time because he was ill. Are we going to penalise these people?” Mr McDouall said. Councillor Nicki Higgie said council needed to ensure it was as easy as possible for employed people to stand for council, and an attendance-based pay structure might dissuade them from doing so. She also noted that more than half her council work took place away from the council table. In the upshot, Vinsen’s recommendation was put to the vote and only Vinsen and Councillor Ray Stevens voted for it. Or so Alf was going to argue until Mrs Grumble brought the small matter of his own pay to his attention. If it’s good enough for city councillors to be paid according to their meeting attendance, she wondered, isn’t it good enough for members of Parliament to be similarly recompensed? Damn. Maybe she’s got a point. And maybe someone will seize on it real fast. Hence your long-serving member has decided not to write about what happened in Wanganui. He is looking for something else to rail against this morning and if he can’t find an issue to kick around he will wander down to the Eketahuna Club to learn what his mates are talking about today. Gotta tell The Boss we are under threat – when it comes to the economy, the budget deficit and all that – from a new quarter. The Boss and his advisers remain relatively chirpy but are a bit bothered about what might happen in Europe. As he said in his State of the Nation speech the other day, the Government is still on track to get back into surplus in 2014/15 but it would push out the date if the global economy went into meltdown. The upcoming Budget Policy Statement in February will forecast a surplus in the range of $300 to $500 million, he said. A headline in the Herald on Sunday today exposes the bugger who wrote it as seriously heathen. But God is omnipresent and can’t be locked out of anything, especially prisons from which mere mortals of the criminal persuasion can and often do escape. The HoS’s impiety is compounded in the first sentence of the story. God has been remanded without a chance of appeal at one of our toughest prisons. As Alf’s astute constituents will have observed, that first sentence shows the HoS hacks are profoundly confused about what exactly has happened to God, because it implies He has been locked in, not out. But if you bother to read on to find what God might have been banged up for, you find his omnipresence has not become flawed and he has been locked neither in nor out. Death sentences for bolshie bloggers seems a bit steep – but would society benefit? It’s great to be blogging from the security of the home office here in Eketahuna. Alf would have second thoughts about expressing his thoughts on some matters if he was operating out of a house in – let’s say – Iran. He is valuing his freedom of expression today having learned that the authorities there have arrested at least half a dozen journalists and bloggers. As was foreshadowed here before the election, the Crown has buckled to give Maori another 50:50 co-governance deal. The Maori who have come out of the negotiations triumphant will be popping the champagne corks or their indigenous equivalent to rejoice. Far North iwi Te Aupouri will celebrate a major milestone tomorrow when it signs a two-part deal which gives it a hand in governing 90 Mile Beach. Treaty Negotiations Minister Christopher Finlayson says he hopes it brings much-needed economic development to one of the most impoverished areas in the country, while a tribal negotiator said the iwi will work hard to move Te Aupouri to a brighter future. If co-governance arrangements are the secret to boosting economic development, perhaps we should proliferate them around the country. Come to think of it, bit by bit we are proliferating them around the country but it is being done somewhat insidiously and the Government does not brag too much about this path to brightening our future. 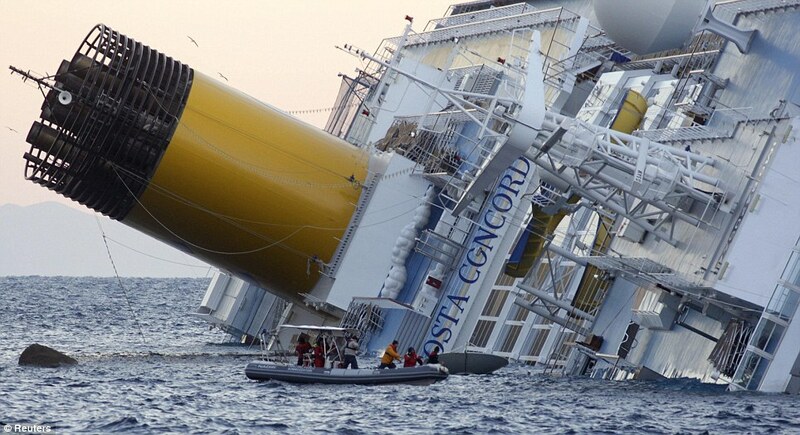 They are not so clever when it comes to captaining cruise liners, apparently. Alf was delighted to read that that New Zealand is proving a favoured place for European immigrants trying to escape the economic downturn. This reflects well on the country: it’s a great place to live in, although not too many of the migrants have yet discovered that Eketahuna is the best part of the country to live in. It also reflects well on the Government in which Alf is proud to serve: our economic management obviously is superior to that of the governments in the countries from which the migrants are coming. Or rather, these migrants obviously believe we run a good shop. But the Herald today published some dastardly stuff about costs of living increasing in New Zealand and wages not increasing to match, while Australians enjoy longer lives and lower unemployment. You are currently browsing the Alf Grumble blog archives for January, 2012.